Total expenditures, including those by the central and local governments, for the 2020 Tokyo Olympic and Paralympic Games could reach ¥3 trillion ($26.3 billion). According to a survey by the Board of Audit of Japan, the central government spent some ¥801.1 billion on 286 state projects between fiscal 2013 and fiscal 2017 that are linked to the games. The amount of spending on most of these projects was disclosed for the first time. 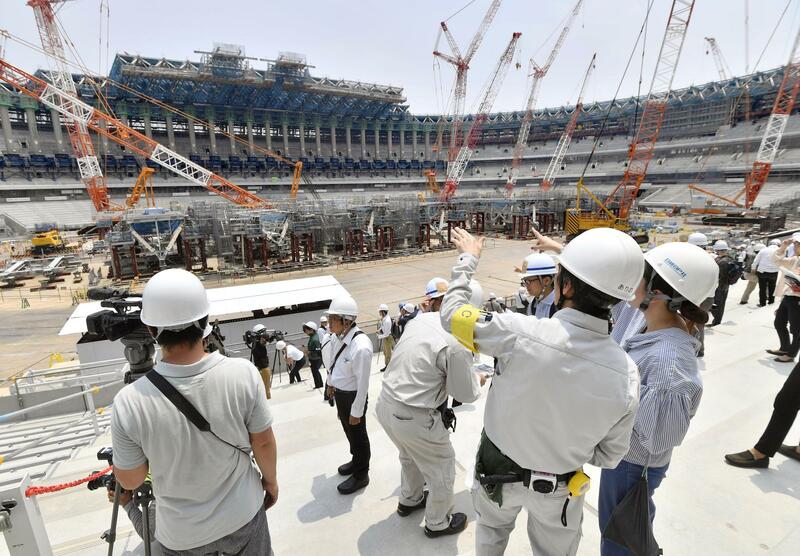 It is necessary to sort out the detailed relations between the Tokyo Games and the projects, the audit board said, urging the Headquarters for the Promotion of the Tokyo Olympic and Paralympic Games to figure out and disclose the whole spending picture. The audit showed that some of the projects seem to have little relation with the Olympics, including one involving the storage of smallpox vaccine. In December 2017, the Tokyo Organizing Committee of the Olympic and Paralympic Games estimated the total costs for the 2020 Games at ¥1.35 trillion. The committee and the Tokyo Metropolitan Government are slated to shoulder ¥600 billion each, while the central government is expected to be responsible for ¥150 billion, according to the committee’s estimate. 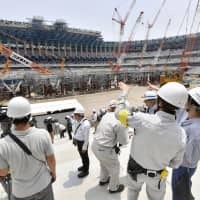 Regarding the costs for the construction of the new National Stadium, the main venue for the games, it was also revealed that that Tokyo Metropolitan Government has not yet paid ¥39.5 billion it owes, and that the source of revenue for refurbishing the place after the games has not been decided.